New and novelty - looks just like ice cream in a cone! Special and Unique! Its easy to see how this unusual tulip got the name 'Ice Cream'! 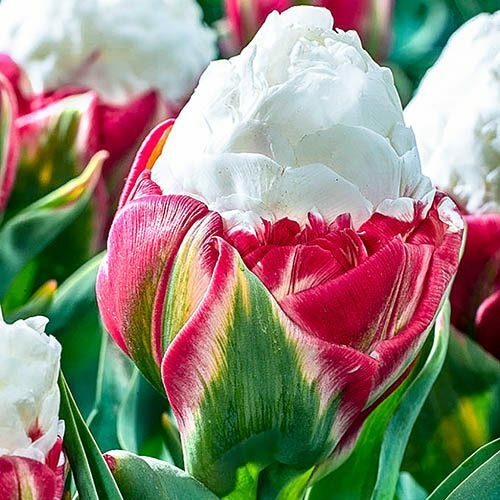 The soft white inner bloom rise above the outer pink petals to look just like ice-cream in a cone. These sensational tulips will create an excellent display in garden borders, containers on patios and also look great as cut flowers. Supplied as a pack of 5 bulbs, ready for planting. Size 11.